If you’ve decided to paint the exterior of your home, one of the first steps is to gather your exterior painting supplies. Here’s a list of 15 things you need for painting exterior of house. As I mentioned last week, painting the exterior of your home is a BIG task to take on. Preparation is important, so be sure you start on this post with 9 things you need to do before painting your exterior. One of those things was to gather your exterior painting supplies. If this is the first time you’ve painted the exterior of your house, you could be a little clueless about what exactly you need to buy. Today you’re in luck because I’m sharing 15 things you need for painting exterior of your house. 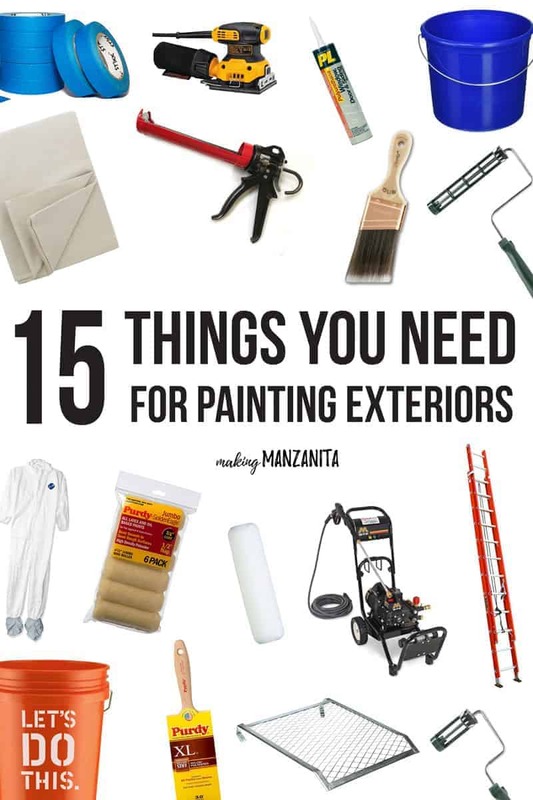 This 15 things you need for painting exterior of house post contains affiliate links, but nothing that I wouldn’t wholeheartedly recommend anyway! Read my full disclosure here. In my post about how to prep for painting your exterior, I talked about the importance of giving everything a good wash before starting to paint. If you don’t have a pressure washer, you can rent one from Home Depot or borrow from a friend. The other thing you will definitely want to do before you painting your exterior is to sand or scrape off all chipped paint from the surface. We used a simple hand sander to do this. A lot of the chipped paint also came off when we were washing the house. This may seem like an obvious one, but one visit to the paint brush aisle and the choices available can confuse anyone. 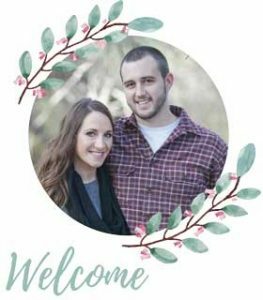 We used a 3″ inch flat wall brush. This will hold a good amount of paint and save a lot of time when you have to paint those tough to reach areas. The angled trim brush helps you in the awkward areas under the eaves and soffit area. We used a 2″ inch angled trim brush which fit perfectly and was small enough to reach areas where the flat brush couldn’t. You’ll use the small 4″ inch roller & roller frame for all the trim on your house. The trim on our house was only 3″ inches wide and fascia boards were around 7″ so using a regular size roller here is a little bulky. Deciding to paint your entire house with a roller is a huge job. The bigger the roller here the better. 9″ inches is standard and what we used, but there are bigger rollers available. If you haven’t painted before I’d recommend sticking with a standard sized roller & roller frame. Painting an exterior is time consuming as it is and this grate drops in the 5 gallon bucket of paint. This saved a lot of time for us because you can load up your roller right in bucket rather than spending time filling up drip pans over and over. Don’t skip covering the ground/turf around your house. Exterior paint is made to last and drips and spills will stick around for a few years. We had 3 drop cloths from our interior renovations and this allowed us to cover an entire side of the house at once. Do yourself a favor and buy more than one, so you spend more time painting and less time moving your drop cloths. Painters tape and painting go hand in hand. Tape is going to help keep your lines straight and come in handy especially when you have been painting all day long. When exhaustion sets in, even the best painters make mistakes. Buy the right ladder for the job. If you have a two story home, you’ll need an extension ladder. This is where people get hurt the most trying to over extend or use a ladder beyond its capability. Having an extra bucket (or two) is always handy for cleaning your paint tools after a hard days work. This is the most critical part of the paint process, sealing around the windows and doors. This helps insulate your house as well as keeps out the elements. Without this seal, water will inevitably leak into the house and mold will grow. Even if your home has been caulked before (and I’m sure it has), you should do another coat when you paint the exterior of your home. We used this caulking gun & caulk. Buy a smaller bucket to bring around with you when you touch up after you’re done rolling on paint. You do not want to drag around a 5 gallon bucket to touch up a few spots. Wear something old that you don’t mind completely ruining…because, trust me. YOU WILL. If you want, you can buy a painting suit. Painting exterior of house is hard work, so be sure you bring a good attitude! Knowing what you need to paint the exterior of your house upfront is important so you’re not running back and forth to the home improvement store the whole time. 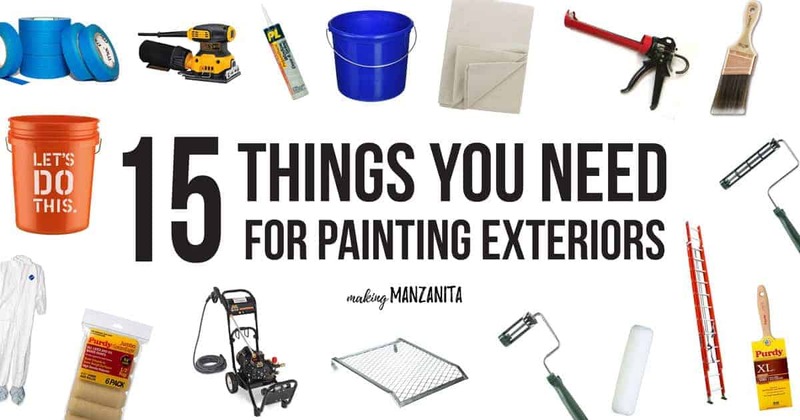 With this complete list of 15 things you need for painting exterior of your house, you’ll be ready to take on this big DIY project.